Soldiers will soon be wearing the uniform worn by America’s “Greatest Generation.” But not real soon. 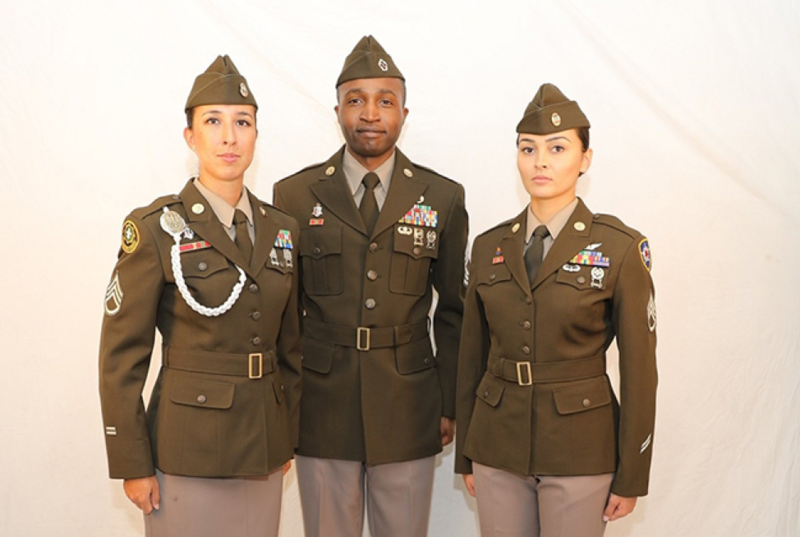 The Army announced Sunday on its website that it will adopt the “Army Greens” as its new service uniform. Army leaders have been displaying modern prototypes of the historic uniform at public events for more than a year. The current blue Army Service Uniform (ASU) will return to being a formal dress uniform, while the new Greens will become the everyday business-wear uniform for all soldiers, the website post said. The Army Combat Uniform―known as the Operational Camouflage Pattern―will remain the Army’s field uniform.